Last week we talked about your Root Chakra, and how to make sure that it works properly. 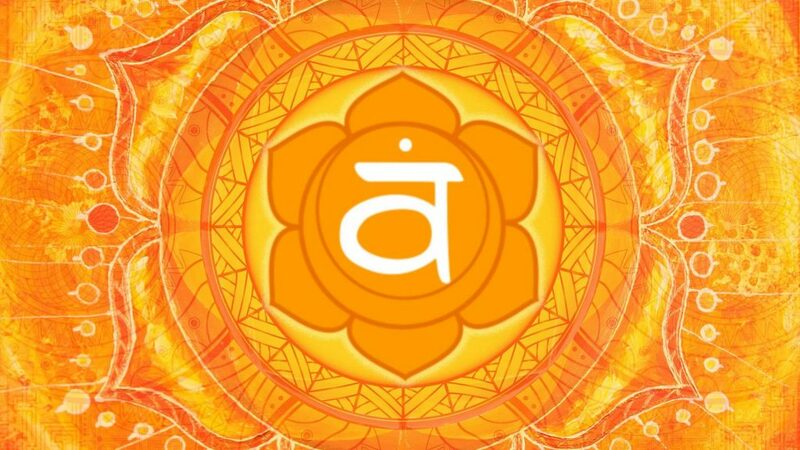 Now, our focus shifts to the second (and equally as important) energy center, the Sacral Chakra. Have you ever wondered how those writers, artists, actors, and celebrities do it? How they get up every single day and let those creative juices flow, creating something amazing? Yes, part of that is real talent, but there is another, less-known factor: the Sacral Chakra. It’s the energy center that’s located just under your navel. When energy flows through it effortlessly, then you feel inspired and energized. You feel like you can take on the whole world, and everything seems more pleasurable. Yes, it is also responsible for maintaining a healthy libido (and a healthy relationship). It’s our pleasure center, quite literally. So, what happens when it doesn’t function properly? Well, that’s when all the opposite of the above happens. Think about easy pleasure (i.e. addiction and the sorts), and the overuse of one’s sexuality. Or, on the other hand a complete lack of interest in anything that would make you feel good about yourself. Pleasure extends to our will to live, our enjoyment of life itself. So yes, depression can be partly a result of a blocked Sacral Chakra, too. The good news is, that even if you find any of these symptoms true, the chakra can easily be restored. However, just like anything else that benefits you spiritually, the cleansing of your chakras is also recommended regularly. As opposed to red being classed as the ultimate ‘sexual color’, it is actually orange. Wearing orange underwear can help get rid of the blocks, and visualizing the color orange can help, too. But be careful, as overcharging your Sacral Chakra can also trip the balance in the wrong direction. So, don’t change your whole wardrobe yet, but swap an item or two a week and you should be fine. If not looked after properly, then each chakra will keep absorbing all the bad that happens to you. Throughout the years, that’s quite a lot of negativity. It’s time to let go of it all, and start fresh. This card reminds us that it’s never too late. If you don’t have self-confidence or faith in yourself, that can be a result of a blocked Sacral Chakra, too. Try to concentrate on things you love about yourself instead. In order to have something you never had, you have to do something you never did before. Don’t be afraid of emotional fulfilment, it should be a part of life.